Rapport is a very valuable tool in the art of Hypnosis. When learning Hypnosis you need to really focus on this skill to create the best rapport possible with your subjects. 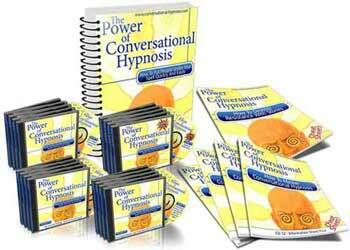 This will help you on your way to becoming a great hypnotist. A fundamental understanding of what makes up a good rapport between two people will help you to create the type of deepened relationships you require as a hypnotist. Rapport will build trust and comfort between you and your clients. Rapport is the close relationship that you will develop with your subjects. It is a harmonious relationship including 2 or more people that understand one another’s feelings and ideas. Rapport also includes the important skill to be able to communicate those feelings and ideas thoroughly. A fact about rapport is everyone knows how to develop rapport in a traditional sense. As long as you live outside of a cave, you do it daily. You have a rapport with your co-workers, clients, friends and family. Those rapports may differ; in fact they should be different as the relationships with each are different. These rapports are the basis for the comfort you feel in interacting with these people on a regular basis. Traditionally you build rapport with others by finding common interests, being nice, complimenting another as well as the similar experiences you share. These are all good ways to develop rapport on a normal basis. Knowing how rapport works will help you in nearly every rapport building situation. Many do not understand how rapport works and use traditional rapport building means during inappropriate times. This can cause the relationship to backfire and sometimes fail completely. When you are looking for rapport in any situation it is paramount that you remember that other people enjoy being around people like themselves. The idea of experiencing a similar situation as another really works here. As this creates a connection on a deeper level, experiences are important to people. They are what make up our lives, a series of experiences linked together. This creates a safe environment for most individuals to open up within. To be able to create a safe and comfortable feeling for your subject is fundamental. After you have successfully started the rapport in this way the quicker you will be able to dig deeper into the relationship. This technique will make the relationship stronger and more trusting. However, developing a rapport in Hypnosis is anything but traditional. Here you are looking to achieve a deeper relationship much quicker than developing a normal rapport with an acquaintance. Refining the development of traditional rapport can make this a valuable and powerful skill for your practice in Hypnosis. Fractionating, wide rapport, story telling and ‘matching and mirroring are ways to build rapport in conversational Hypnosis. Fractionate rapport helps your subject work to keep the rapport going. In this skill you give your attention fully to the subject. Then take it away, get distracted. If the person tries to re-engage you, you have successfully founded the beginnings of a rapport. Then you start the process over again. Each time you give your complete focus the person will develop a deeper trust and comfort with you. Another way to strengthen rapport is through wide rapport. Wide rapport is when you offer a subject many different experiences of you in different environments. This can be done literally by going to different locations to see one another. It can also be accomplished through story telling. Story telling is a great way to build rapport with someone. Through the telling of stories you can create many different realities in which your subject becomes comfortable interacting with you. This builds trust and allows them to open up their mind to you more quickly. You can use story telling to develop a wide rapport with each person you meet. Another way to improve rapport is to know how to use Matching and Mirroring. This is a technique that when done correctly, will help your subject feel more comfortable very quickly. Matching and Mirroring is when you mimic the actions, body language, hand gestures and signals to create an unconscious connection with another person. This needs to happen on an unconscious level for it to work. Once a person realizes on a conscious level that you are mirroring them it can cause them to feel annoyed and uncomfortable around you. They may even feel that you are making fun of them. This is not a good way to build rapport and can be damaging. On the other hand if you are successful in matching and mirroring, and your subject is unaware on a conscious level that you are mimicking them it can build a very strong connection with the person quite quickly. Remember this technique works only when it is unconsciously perceived, outside normal awareness. Matching and mirroring studies have shown that when the participants included in the study did not recognize the imitation a strong rapport was created. Those who discovered they were being mimicked were less persuaded by the entire presentation, and the rapport was damaged. The key here is to learn to match and mirror unconsciously. If you do this you will be more likely to go undiscovered by the other person you are interacting with. Matching and mirroring is a powerful technique for building rapport and therefore a powerful technique in improving your Hypnosis. However, it does have limitations and you should have other means for developing rapport as well. Hypnosis is a very different form of communication. It requires different techniques to develop a substantial rapport that the relationship can firmly stand on. Building the rapport with your subject through fractionating, wide rapport, story telling and matching and mirroring is fundamental. This is good information for people interested in hypnotism. Rapport is important in any working relationship. Thanks for your contribution to Take Charge of Your Health Care Carnival.